DON'T PASS UP THIS PASSAT, ONLY 44K MILES, 2.5L MPFI DOHC 20-valve I5 engine, 6-speed automatic transmission -inc: Tiptronic & sport mode, Front wheel drive, Halogen automatic headlights -inc: coming/leaving home function, Cruise Control, Front bucket seats -inc: 8-way manual driver seat, driver lumbar adjustment, Immobilizer III theft-deterrent system, Multi-function adjustable steering wheel w/audio & phone controls, Child safety rear door locks, Daytime running lights, Intelligent Crash Response System, Adjustable Steering Wheel, Integrated Turn Signal Mirrors, Air Conditioning; Power Windows; Power Locks; Power Steering; Tilt Wheel; AM/FM CD/MP3; Immobilizer; Keyless Entry; Daytime Running Lights; Dual Front Airbags; Side Airbags; Head Airbags; Rear Head Airbags; Active Seatbelts; All Wheel ABS. ,This car has original Nebraska Title with previous salvage legend, It was in a minor accident, but was repaired professionally and has already passed inspection by Nebraska DMV. We confidently stand behind our vehicles and a 3 month /5000 mile warranty is included at no additional cost! For more info call 402-707-0193, or come take a look and see for yourself! 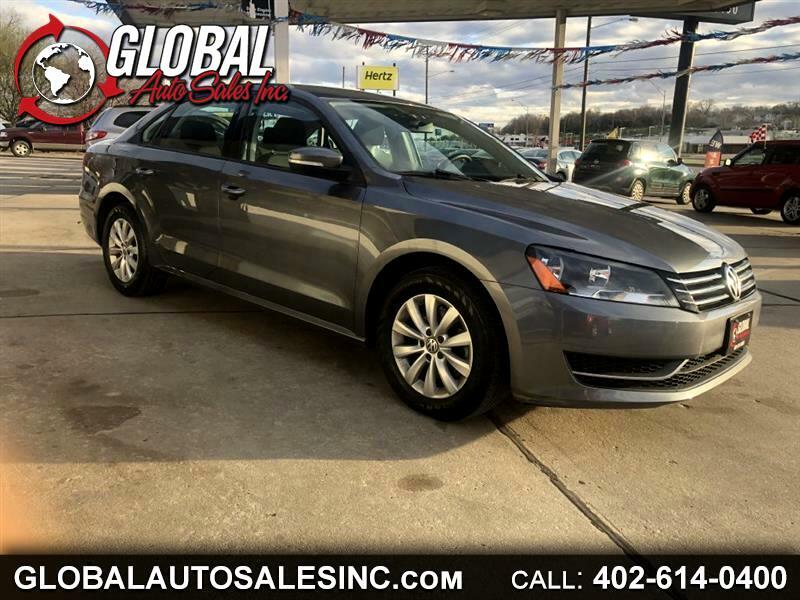 Visit Global Auto Sales Inc online at globalautosalesinc.com to see more pictures of this vehicle or call us at 402-614-0400 today to schedule your test drive. Message: Thought you might be interested in this 2013 Volkswagen Passat.